Jaimie Burke is a Senior Policy Analyst with the Ontario government and has been a volunteer with MJKO since 2010. 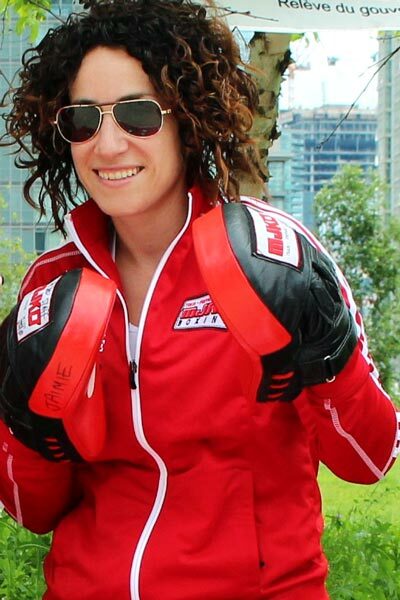 She is a certified Boxing Ontario Coach and strives to create an engaging and positive atmosphere for MJKO youth inside and outside of the gymnasium. Jaimie also focuses her attention on securing grant funding for the growth and maintenance of the MJKO programming across the Greater Toronto Area. In 2014, she undertook a 7 day charity climb of Mount Kilimanjaro in Tanzania raising approximately $4,500 to benefit MJKO students. Today, she continues to seek out new adventures and experiences at every opportunity.